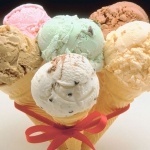 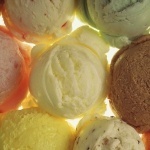 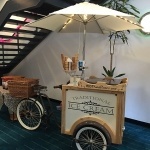 Price from £314 based on 2 hours hire for 100 guests (1 ice cream per guest). 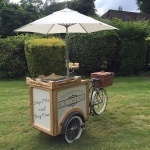 Our vintage styled bike is fully hygiene certified, registered with the local council as a food service van and is a totally bespoke retro service fitted with ice cream service equipment all hidden within the stylish look! 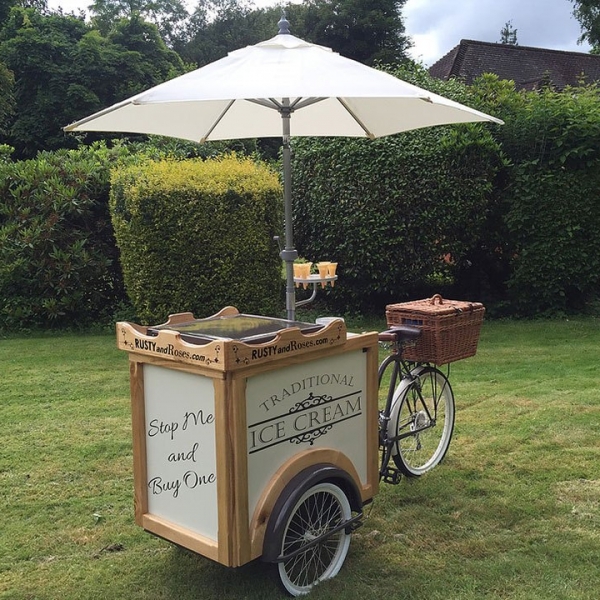 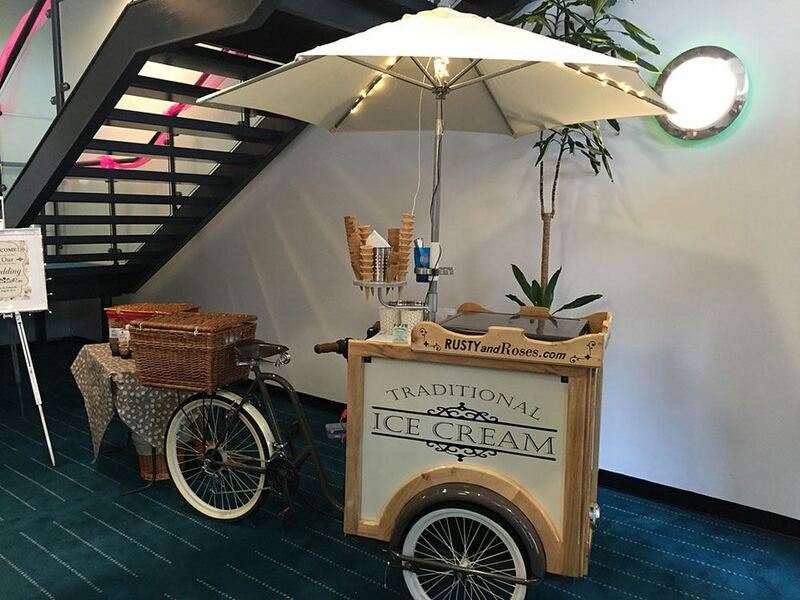 The trike will arrive at your venue with our attendants to serve your guests as a unique Ice Cream Parlor. 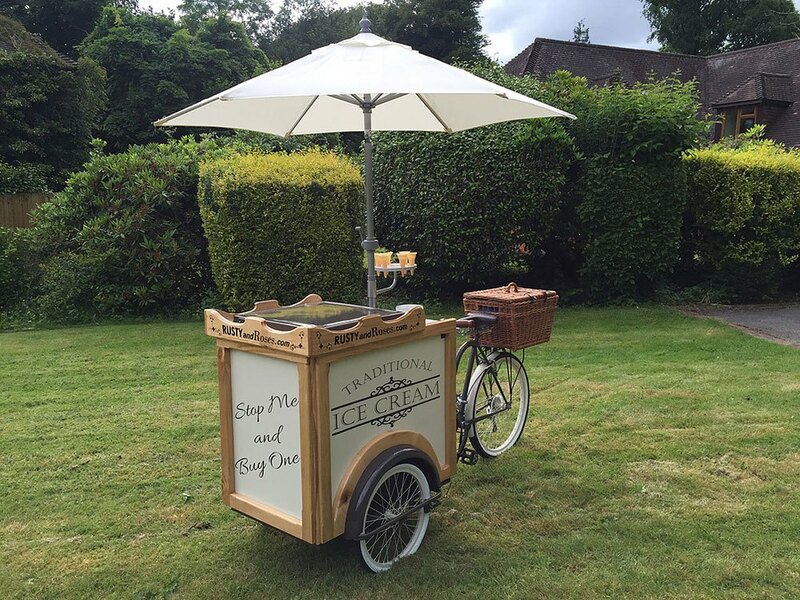 The attendant will set up an area with deckchairs, bunting, cafe table and chairs, lighting and all the sweet toppings table cuteness you can imagine. 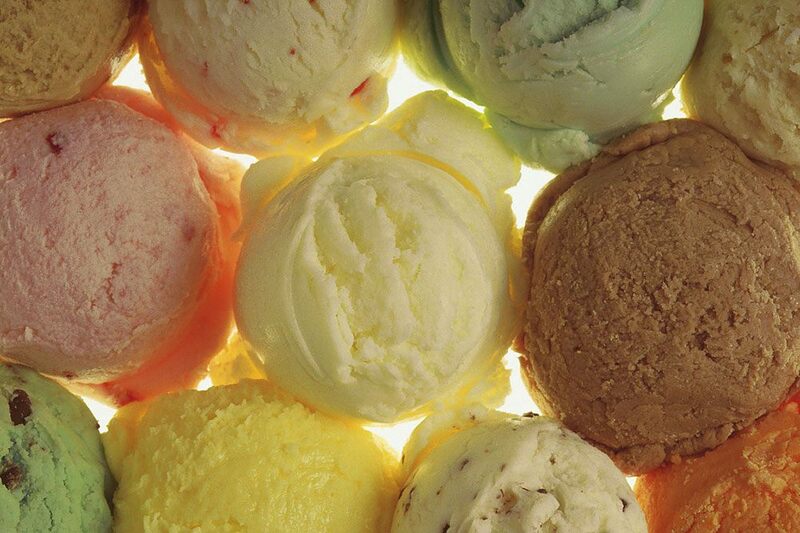 The Ice Cream Parlor can include ice cream for special dietary requirements, for Vegetarians and gluten free alternatives, the sorbets are perfect for the dairy intolerant. 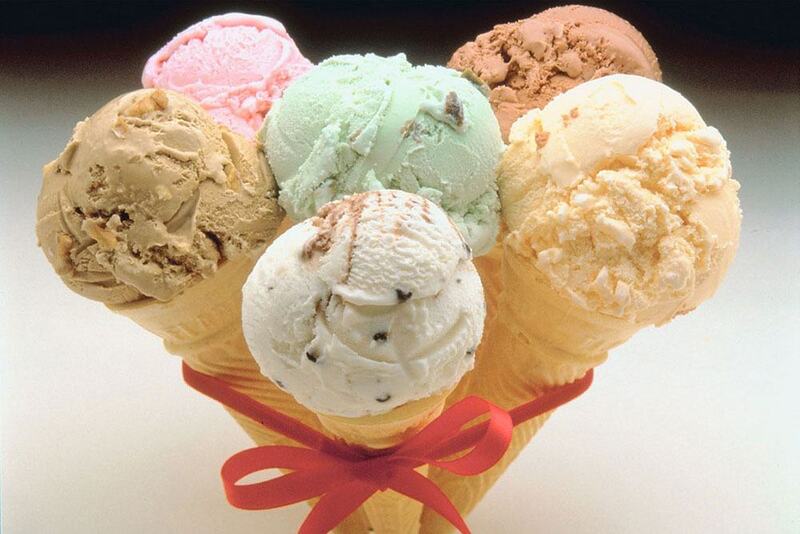 We always offer the option of a pot rather than a cornet for those with a gluten or wheat intolerance.